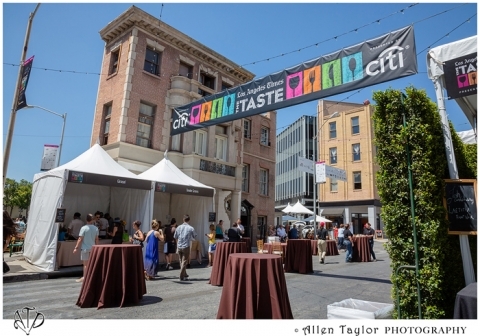 Of all the Food and Wine Festivals I’ve attended, Los Angeles Times, The Taste, by far is my absolute favorite! It was so well-organized with water stations everywhere. The staffs working onsite kept the venue so clean and pleasant. The lines were never too long, so we got to try pretty much everything. I missed it in the last couple of years and I am so looking forward to attend it, again, this year! It is a party for 2 1/2 days of unbelievable food, wines, cooking demos and great spirits! The opening night on Friday, September 1, 7:30 PM – 10:30 PM is hosted by all the weekend’s hosts and co-hosts, serving highly selective collections of tastings, cocktails and wine offerings. Saturday, September 2, Noon – 3:00 PM is FIELD TO FORK, featuring fresh tastes from L. A.’s best chefs focusing dishes using the freshest locally sourced ingredients. This event is hosted by Amy Scattergood and co-host, Chef Sang Yoon. Check out some the offerings from 2014 below. Saturday, September 2, 7:30 PM – 10:30 PM is DINNER WITH A TWIST, featuring innovative tastes from the city’s best restaurants, plus fine wines, beers and, of course, handcrafted cocktails. This event is hosted by Jonathan Gold and Jenn Harris, co-hosts, Antonia Lofaso and Marco A. Ramos. Below are some dishes I tried in 2014. Don’t miss the SUNDAY BLOCK PARTY, September 3, Noon – 3:30 PM, hosted by Noelle Carter with co-host Sherry Yard. No need to fire up your own grill when you get L.A.’s top chefs and mixologists doing all the work for you! Sunday night, September 3, 7:30 PM – 10:30 PM features FLAVORS OF LA, hosted by Jonathan Gold and Chef Gilberto Cetina Jr. Spend this evening exploring the rich and diverse culinary adventure L.A. has to offer. For detail schedules of the events, parking info. 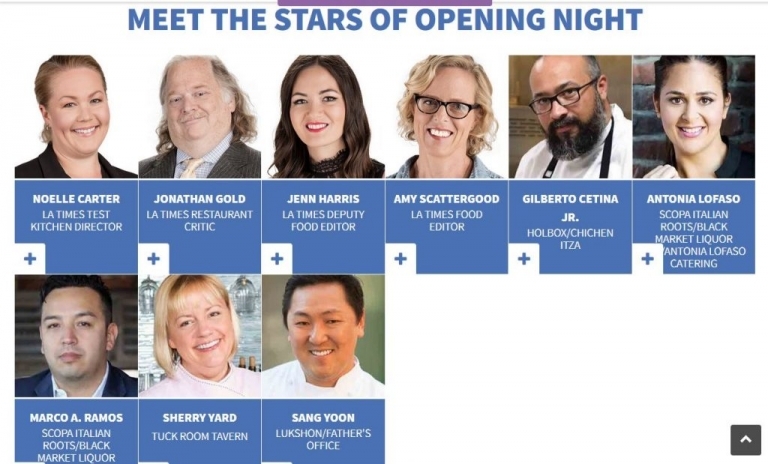 and to purchase tickets, visit L.A. Times|The Taste.